How Donald Trump gets an amazing number of things done, and how any business owner can and should do the same. How Donald Trump surrounds himself with the right people, and how any business owner can and should do the same. How Donald Trump calls people's bluffs, and how any business owner can and should do the same. How Donald Trump knows where and where not to invest resources, and how any business owner can and should do the same. How Donald Trump overrides what people think they want when they're misguided, and how any business owner can and should do the same. 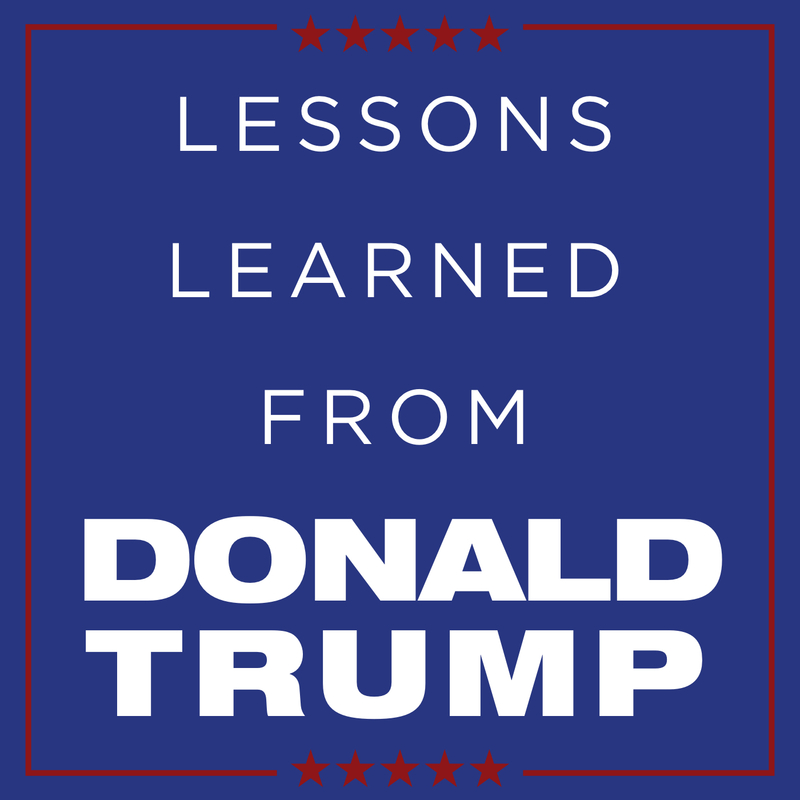 How Donald Trump always stays strong in times of trouble, and how any business owner can and should do the same. How Donald Trump always leaves his prospect happy throughout the sales cycle, and how any business owner can and should do the same. How Donald Trump fails to learn the rules of his new field of endeavor, and how any business owner can and should avoid doing the same. How Donald Trump capitalizes on people's emotions, and how any business owner can and should do the same. How Donald Trump is always prepared for copycats, and how any business owner can and should be the same. How Donald Trump sometimes loses a battle to win a war, and how any business owner can and should do the same. How Donald Trump fights dirty when he has to, and how any business owner can and should do the same. How Donald Trump uses the power of small commitments, and how any business owner can and should do the same. How Donald Trump turns criticism into compliments, and how any business owner can and should do the same. How Donald Trump goes full speed ahead no matter what, and how any business owner can and should do the same. How Donald Trump increases profits while decreasing costs, and how any business owner can and should do the same. How Donald Trump fires a disruptive person, and how any business owner can and should do the same. How Donald Trump cooperates with his supposed "competitors," and how any business owner can and should do the same. How Donald Trump alienates his enemies, and how any business owner can and should do the same. How Donald Trump exhibits a lack of care over what he says to large groups, and how any business owner can and should avoid doing the same.